Here in New York, we’re excited to see CODA’s massive Party Wall installation made of scrap from skateboard manufacturing rise at MoMA PS1 for this year’s Young Architects Program (YAP). 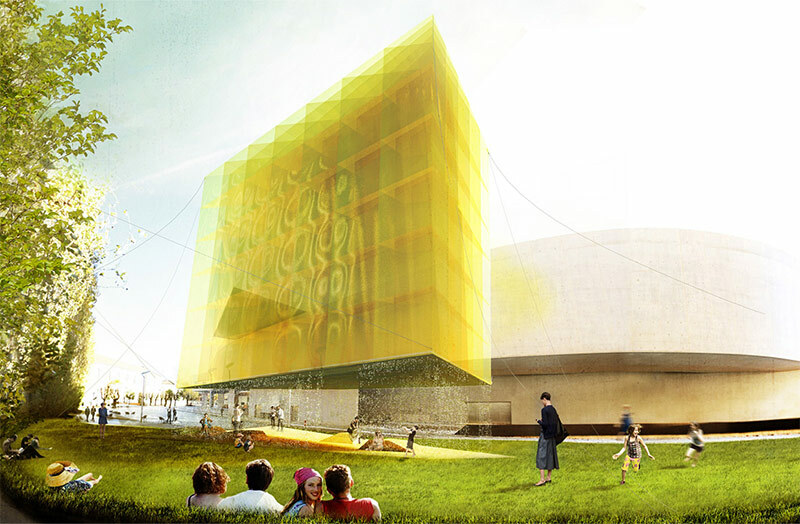 But the annual YAP, which recognizes emerging architects and invites them to design and build a temporary installation, has gone global. 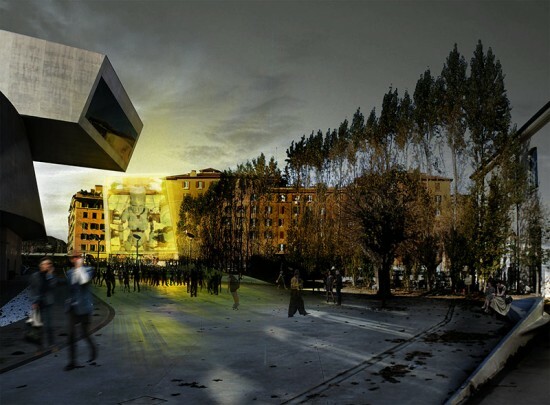 MoMA has announced the third installment of YAP at Rome’s MAXXI museum designed by bam! bottega di architettura metropolitan and has launched a new program in Istanbul won by SO? Architecture and Ideas. SO? 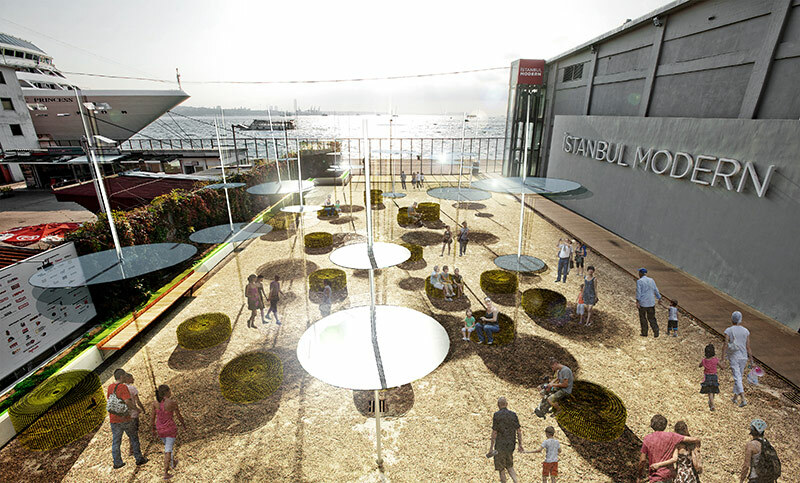 Architecture and Ideas‘ installation, Sky Spotting Stop, calls for a series of mirrored sun shades that give height to the museum’s courtyard and play off the waters of the nearby Bosphorus. 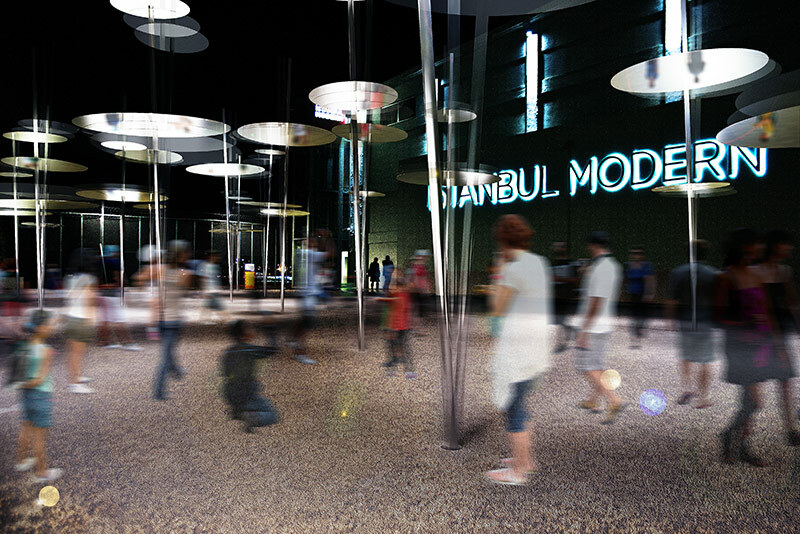 The mirrored discs are intended to provide playful shadows and reflections during the day and can be uplit at night. The installation opens in June at Istanbul Modern. In Rome, bam! bottega di architettura metropolitan’s Helium-filled installation, He, will float above the MAXXI’s courtyard shading a grassy lawn and wooden platform below. 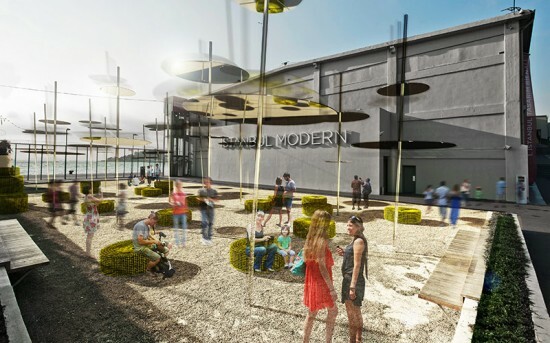 During the day, water will drip from the installation to cool the plaza. At night, the mass will glow as a large, floating lantern. At the end of the summer, the Helium from the installation will be reused for scientific research. The installation will open on June 20 at the MAXXI museum. A third international program has also been established in Santiago, Chile.